Uh oh! 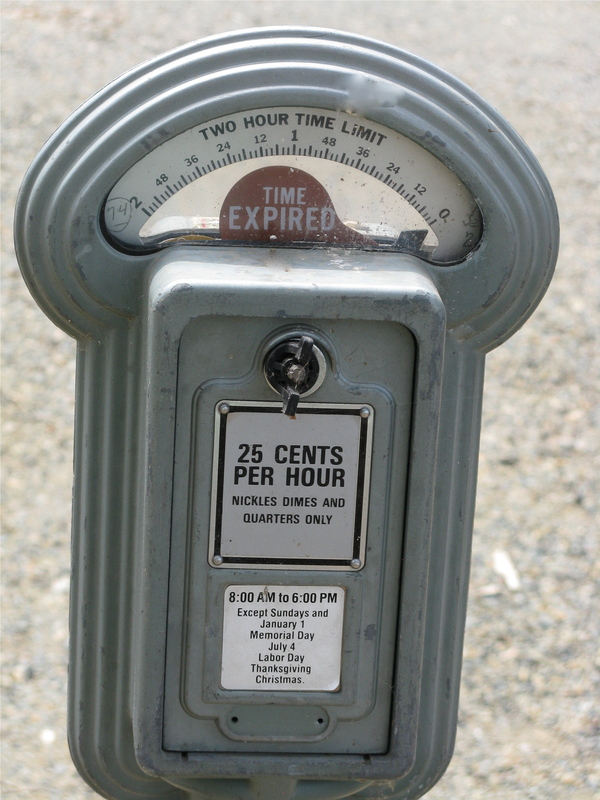 Maximum time is two hours, and the meter is expired. Bigger uh oh! Can this be true? The fine will be fifteen hundred dollars? 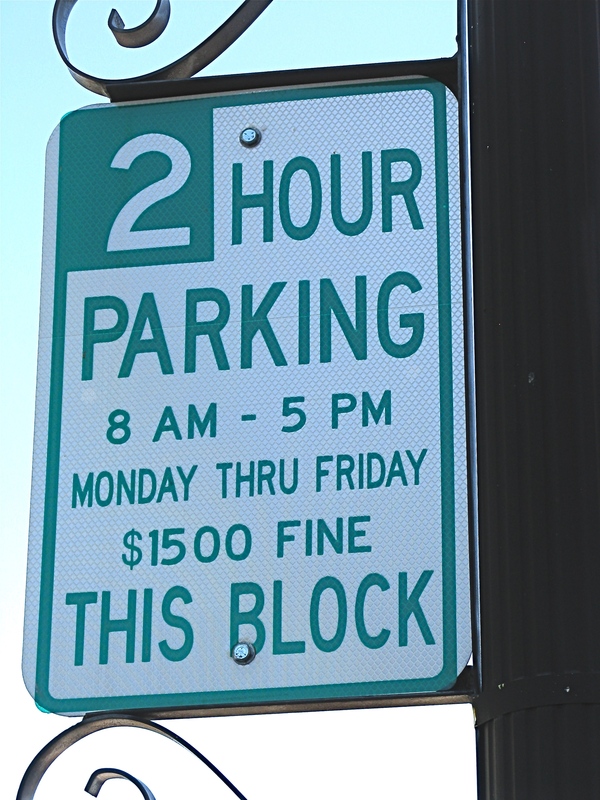 We check another sign and find out the fine isnʼt really $1,500. Itʼs $15.00. Some prankster had whited out the period between the 5 and the first 0. What a relief! Suddenly, weʼre $1,485 richer. 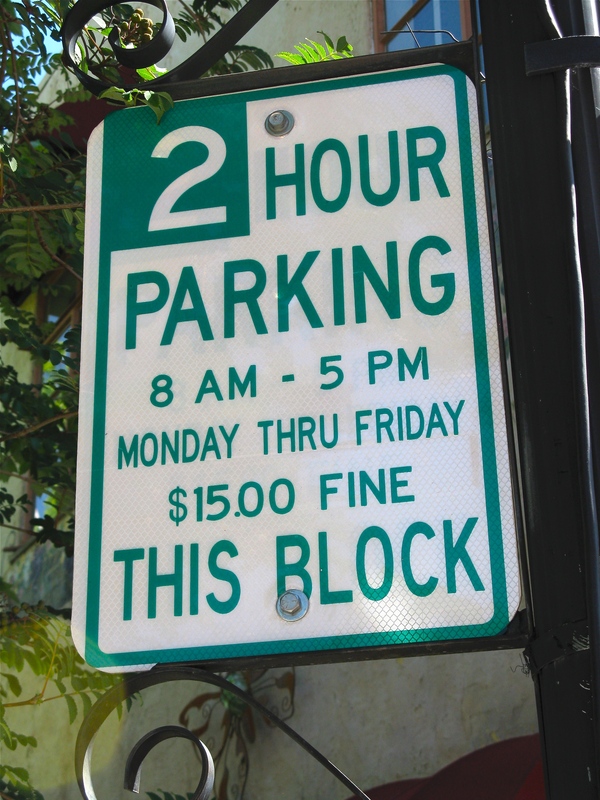 Tags: parking meter, parking sign. Bookmark the permalink.